Little Bear and his parent are taking a walk in the woods, and along the way they greet their friends. 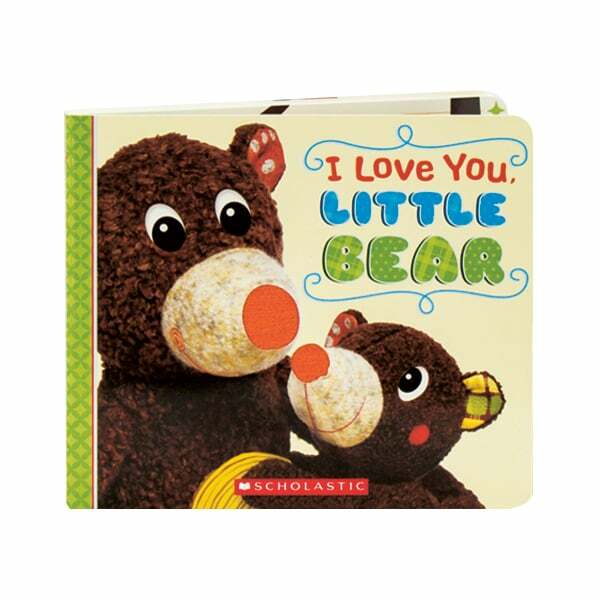 With a simple, rhyming text that makes for an ideal bedtime read, this book also has pages that contain tactile elements for toddlers to explore: the fish's scales, the bird's feathers, the squirrel's fuzzy tail, and Little Bear's wooly forehead. In the illustrations, the protagonists are portrayed by actual teddy bears, who have been incorporated into bright mixed-media collages.